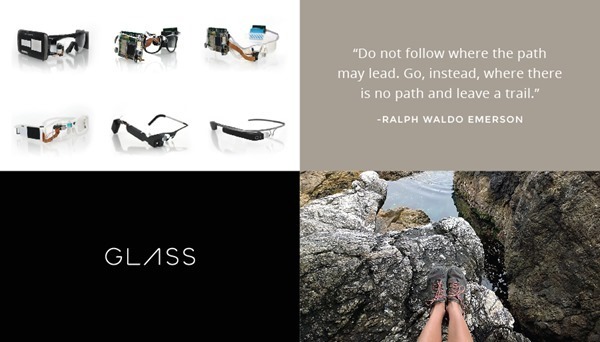 The Google Glass Explorer Program will end from next week, although this does not spell the end of the face computer’s development. In fact, it seems that the Big G is simply reshuffling the team and division in charge of the product in a move that should streamline Glass’s route to market. Essentially, the Explorer Edition will no longer be available to purchase for its current price of $1,500, but instead, Google will remain focused on its continued development and eventual public release. 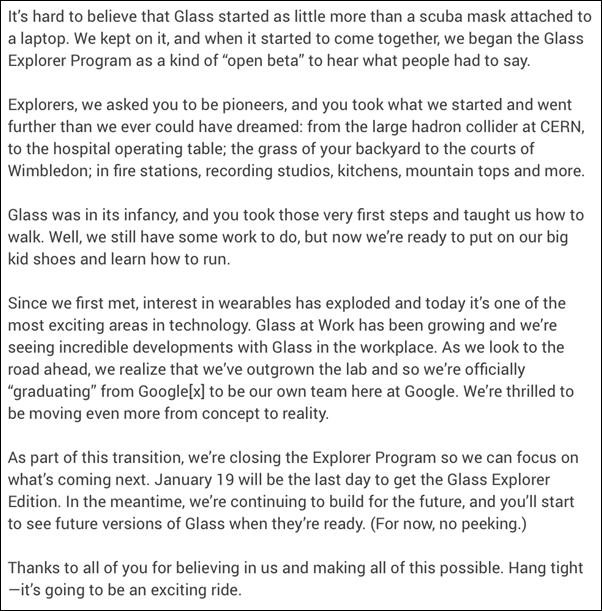 Glass will no longer be developed from within the Google X division, and will be managed by Ivy Ross from here on in. The leader of Glass will be Tony Fadell, CEO of Nest, the smart home product firm that Google purchased over a year ago, and so the team working on the wearable will continually report back to him. Even though Fadell is the head honcho, it’s worth pointing out that Glass isn’t being palmed off Nest, and in fact, won’t be related to Nest in any way. It’s just being given its own piece of real estate within Google’s executive framework, so in a sense, is being upgraded, and hopefully, the shake-up will be a positive move for the head-mounted gizmo. Despite the apparent dedication on making Glass a success, Google doesn’t yet know when a new version will be rolling out. There are no set time frames as yet – at least, none that the firm is willing to divulge – so we’ll have to wait and see how things progress over the next few weeks and months. So, the optimism remains, in spite of the coverage and general anticipation for Glass’s public release having died down considerably in recent times. From many touting the project as a potential game-changer, the product has only really appealed to enterprise users along with the fleet of geeks testing it out, and with many skeptical of its uses at a consumer level, it’ll be interesting to see if the search giant still plans to press ahead with a market roll-out. 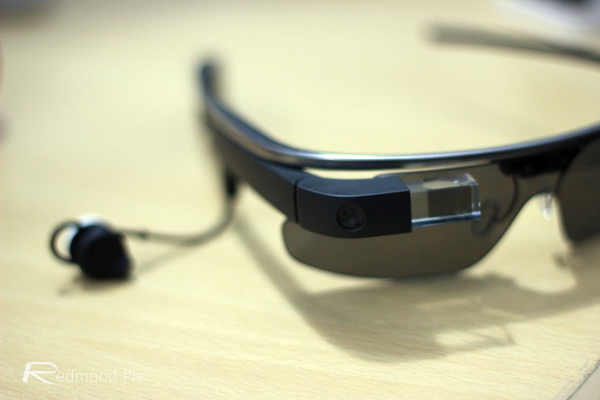 What do you think – will Glass still live up to the hype and find a place in the consumer market? Or is it destined to serve airline companies and police forces? Do share your thoughts and comments below! Could it be any more dorky? Yeah.. no thanks and Google.. I wont buy it from you at all. You greedy, you! It still has a lot of potential imho . If not for the high price and horrible battery life, I’d definitely cop one. Fashion wise, you can make almost anything work…confidence is key, plus they’ll probably get better looking with time. I for one hope google doesn’t give up on this.